Mascalzone Latino, the America's Cup entry for Challenger of Record Club Nautico Di Roma has withdrawn from the 34th America's Cup citing financial reasons. In a letter from the head of the team Vincenzo Onorato posted on Mascalzone Latino's website May 12, the team withdrew because it could not fund a challenge that they felt would be successful. "I'm not interested in a hopeless challenge," Onorato wrote. Mascalzone Latino's withdrawal leaves the Cup in state of flux as to who will take over the Challenger of Record duties. The America's Cup Authority could not be reached Thursday morning for comment. Another challenger could take on the role of Challenger of Record or the role could be taken on by a committee as it was in 1992 and 1995. 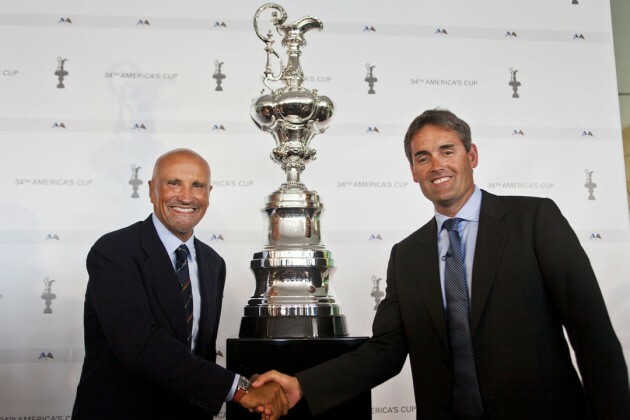 Mascalzone Latino's withdrawal puts the number of teams entered in the 34th America's Cup to be sailing in San Francisco in 2013 at 13 including defender Oracle Racing.